Column: A collection of data presented in vertical columns (attributes), where the height of each cell is proportional to its scale. 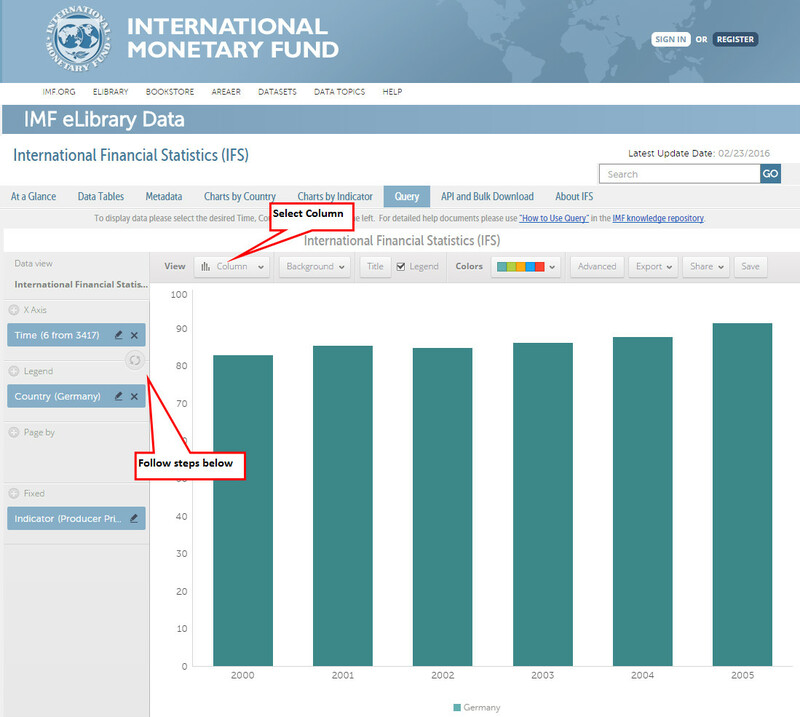 Column Instructions - The sample chart uses the International Financial Statistics dataset and displays data for Germany's Producer Price Index from 2000 through 2005. From the pop up dialogue box select Germany. Click Apply and OK. Select the following indicator: "Producer Price Index, All Commodities, Index". Click Apply and OK.